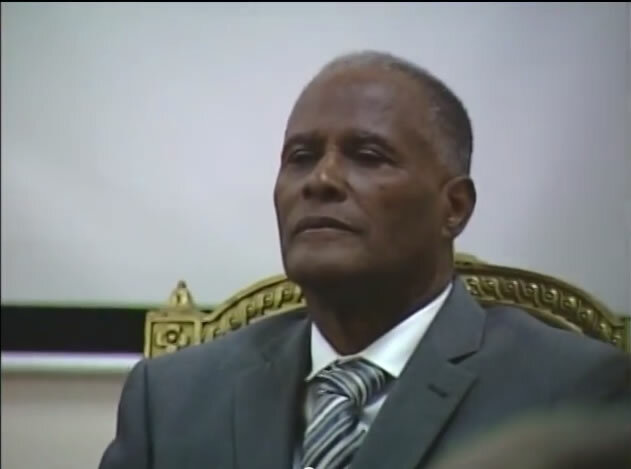 Here is a picture of Me Jules Cantave, the new Provisional President of Haiti selected to replace Michel Martelly. On February 10, 2016, as per an agreement to designate a Government of transition to solve a possible vacuum of power in Haiti, the outgoing President Martelly with the bicameral committee composed of senators and deputies representing the three branches of the Haitian government, including the Executive, legislative and judiciary, responsible for electing the interim president have installed Me Jules Cantave, the President of the Court of Cassation and the Superior Council of the Judiciary (CSPJ), as the new Provisional President of Haiti. Me Jules Cantave has assumed charges of his office on February 14th for 120 days with a responsibility to organize the presidential election on April 24, 2016. 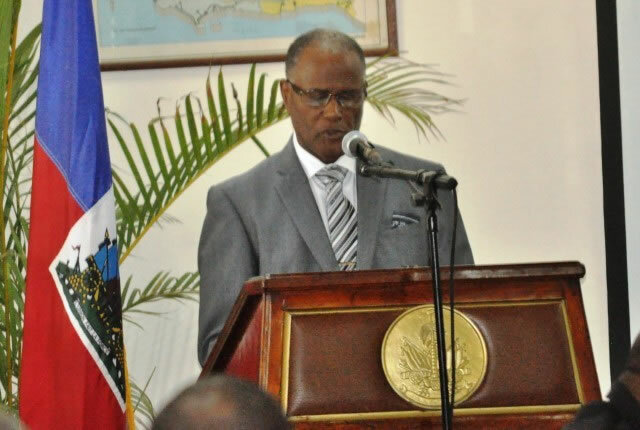 The Provisional government will remain responsible to rule Haiti after Martelly's departure. As Michel Martelly getting ready to leave office, many are asking one question: who will replace him either temporarily or permanently?. Who will have this heavy task to put things in order. 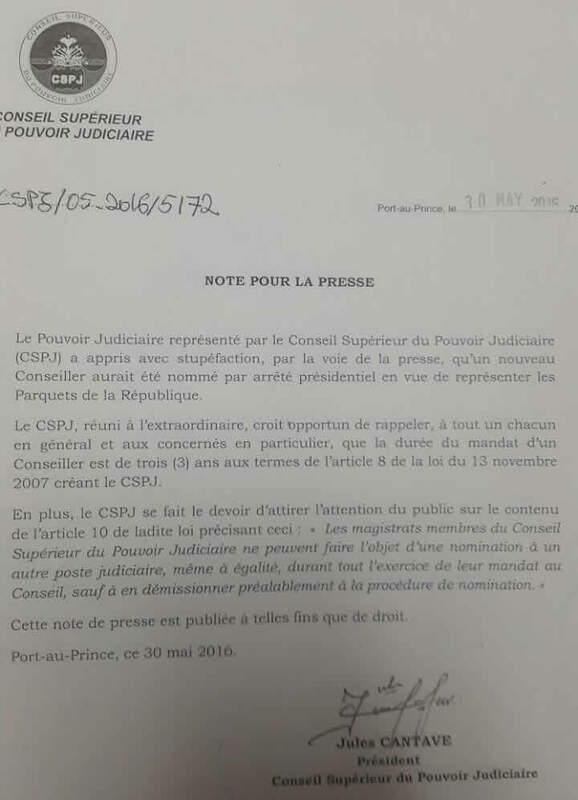 So far, the three most likely candidates are: 1) the current judge of the Court of Cassation Jules Cantave, 2) the president of the Senate Jocelerme Privert 3) the actual Defacto Prime Minister Evans Paul. On the other side, I also know that based on interest, many people would see it differently. Do you see it the same way i do? Do you see something evolving that i have not seen yet? On March 9, 2015, Mr. Jules Cantave has sworn in as the new president of the Supreme Court and the High Council of the Judiciary (Supreme Council) in place of much maligned Mr. Anel Alexis Joseph, who was forced to resign in last January. 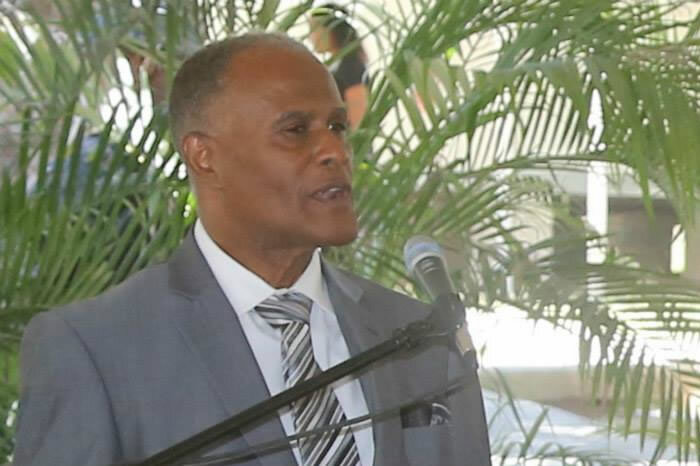 Mr. Jules Cantave, while taking this great responsibility for the country, has promised to do everything to make the system a truly independent and neutral judiciary. He has sworn to enforce the laws in force to deliver an impartial distribution of justice and prove himself a worthy and loyal magistrate. He believes that the esteemed responsibility which he has been entrusted is the reward of his 33 long years of service in the judiciary.